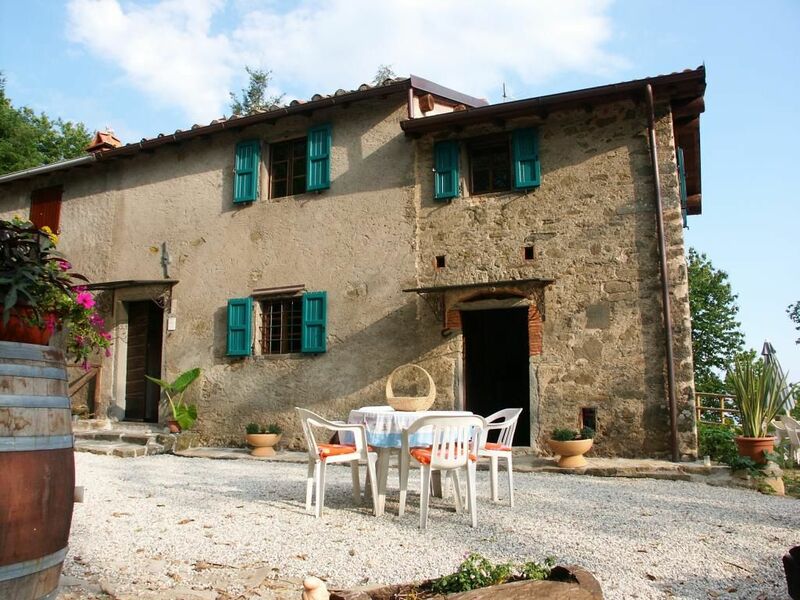 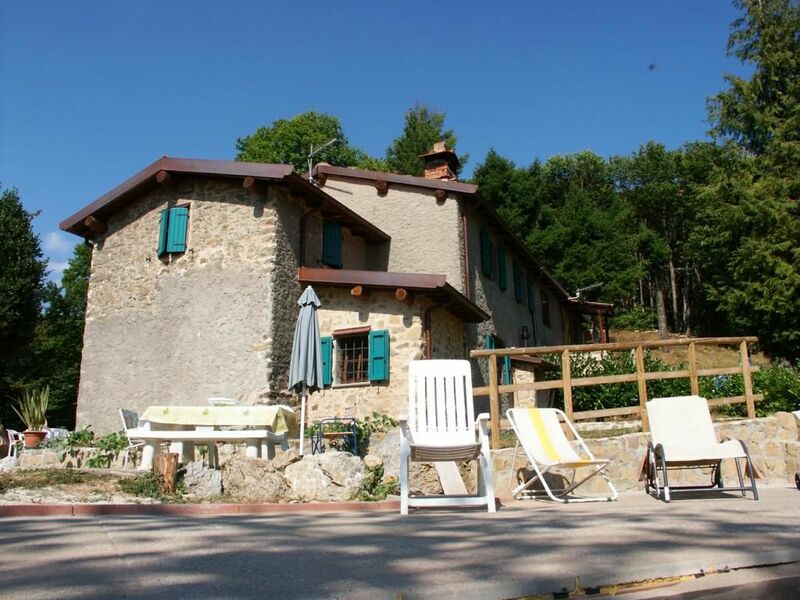 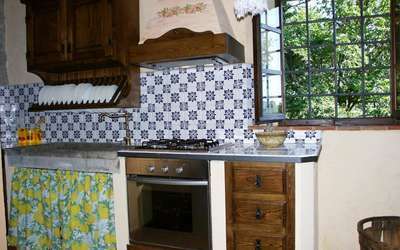 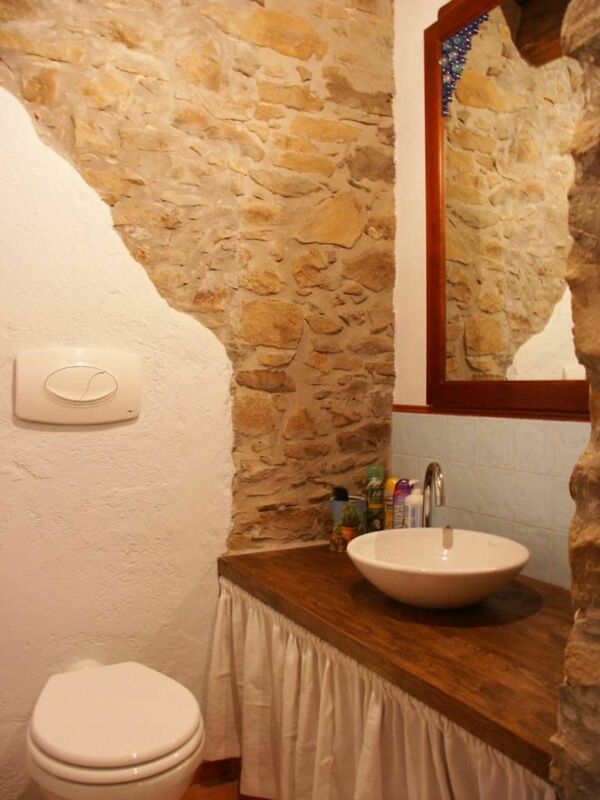 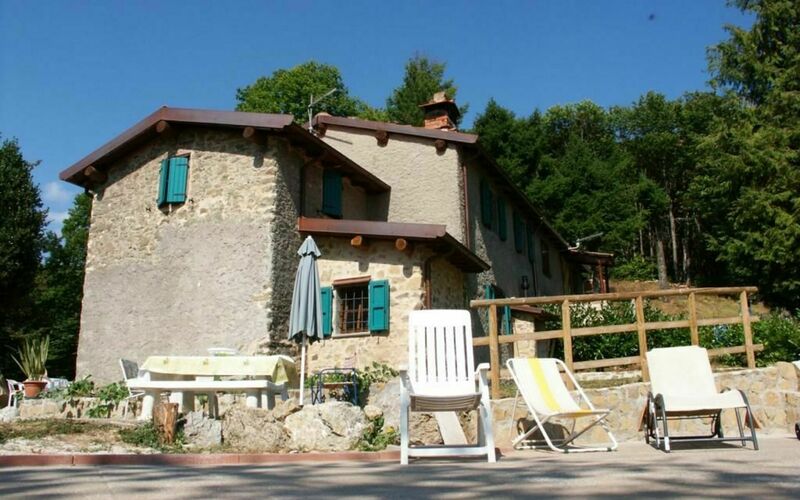 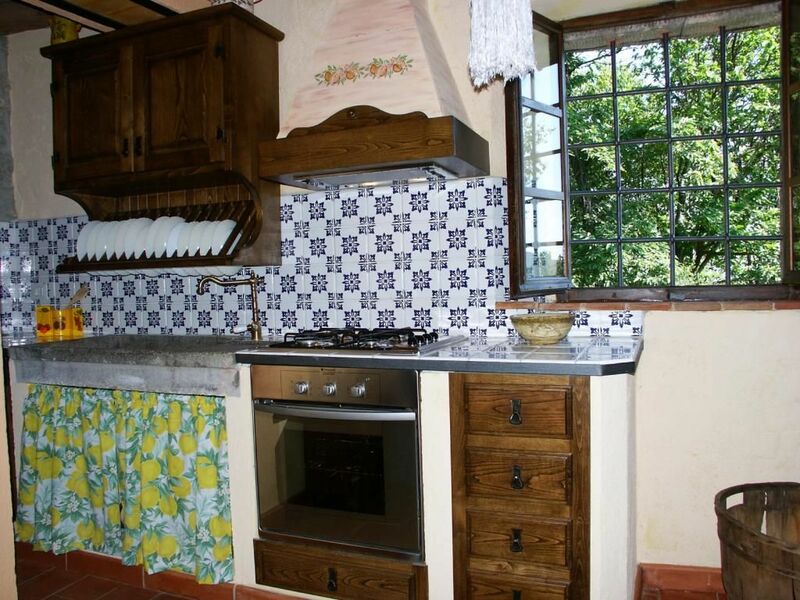 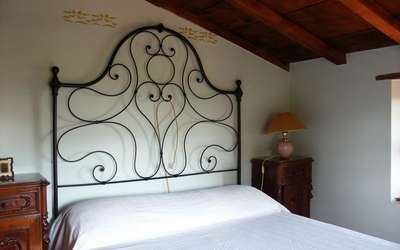 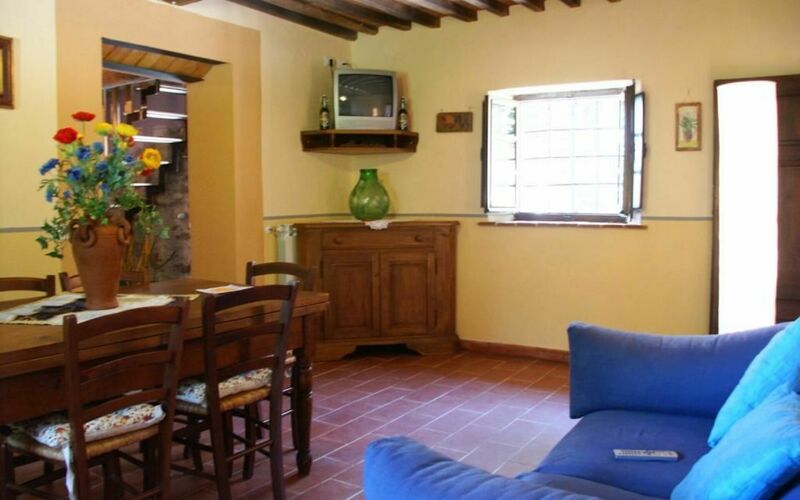 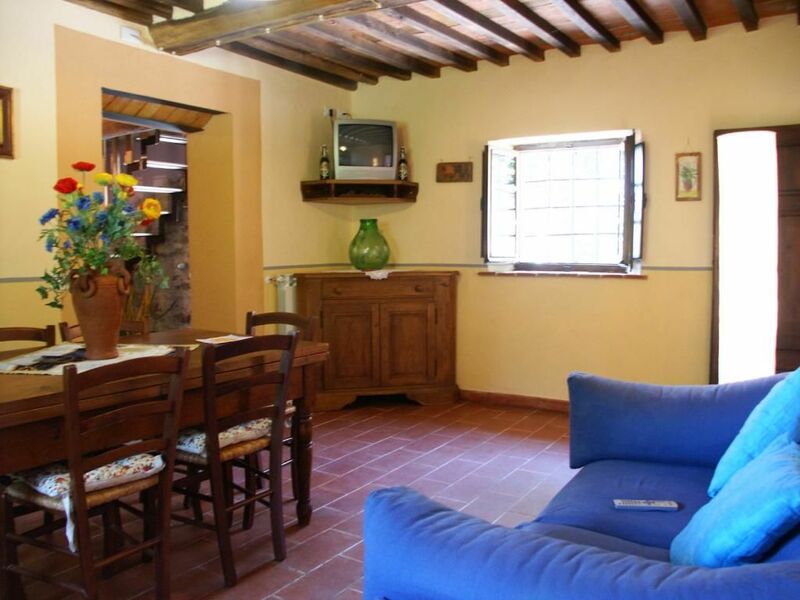 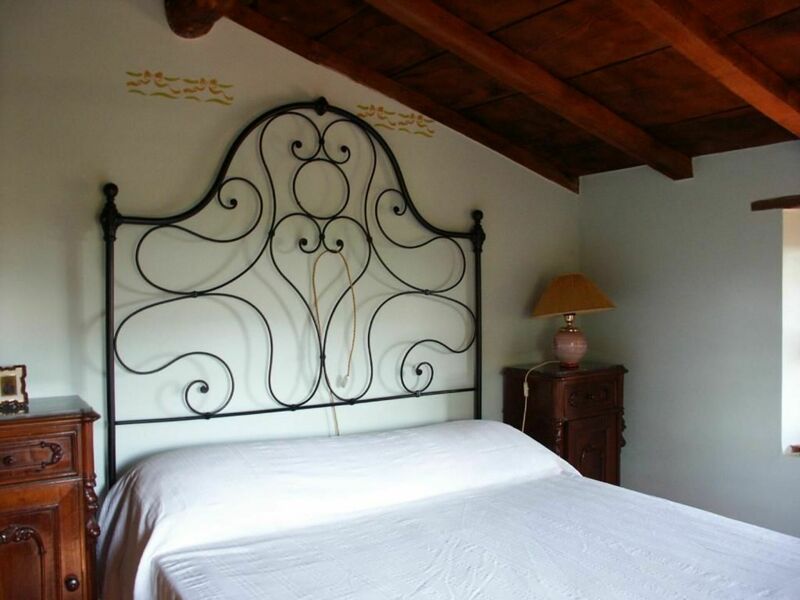 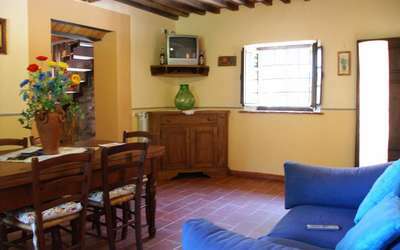 Lovely, carefully restored holiday farmhouse dated back to 1573 situated in the Natural Park of the Alpi Apuane (720 above sea level). 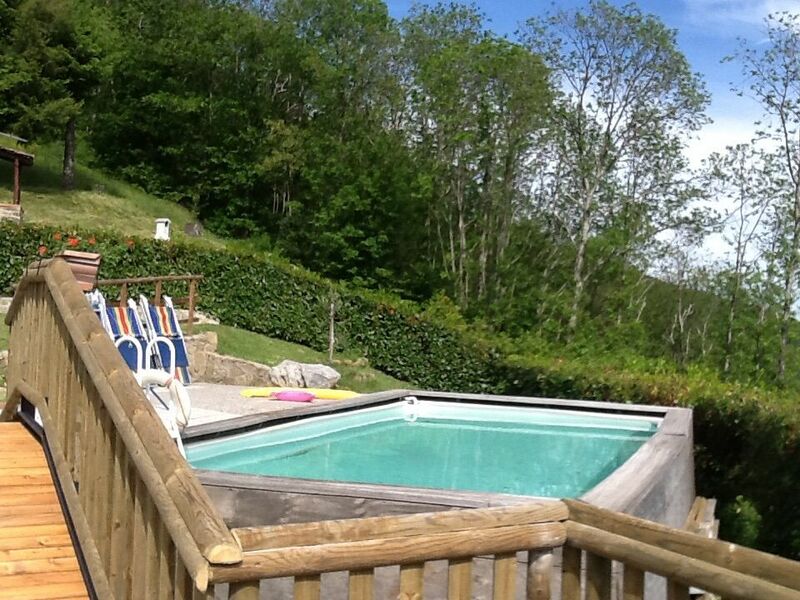 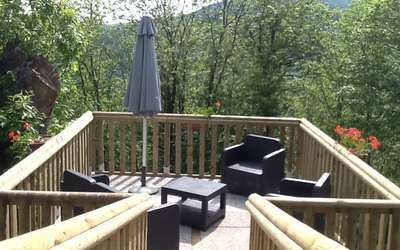 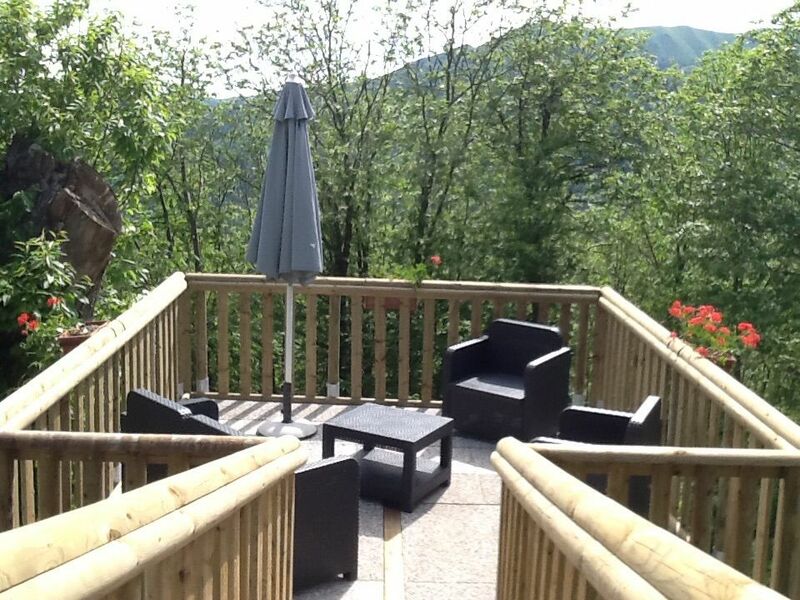 The wonderful natural area is ideal for walking, trekking, rock climbing and mountain biking. 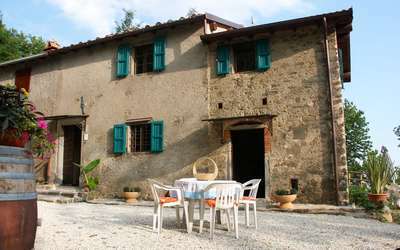 Typical restaurants and trattorias offers traditional Tuscany dishes. 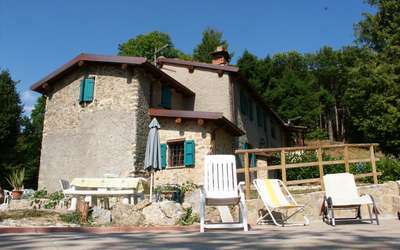 The nearby house is inhabited sometimes by an elderly couple. 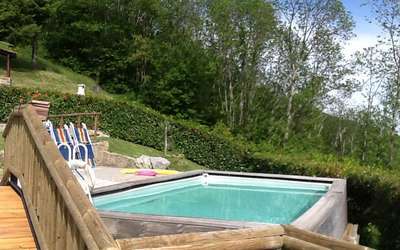 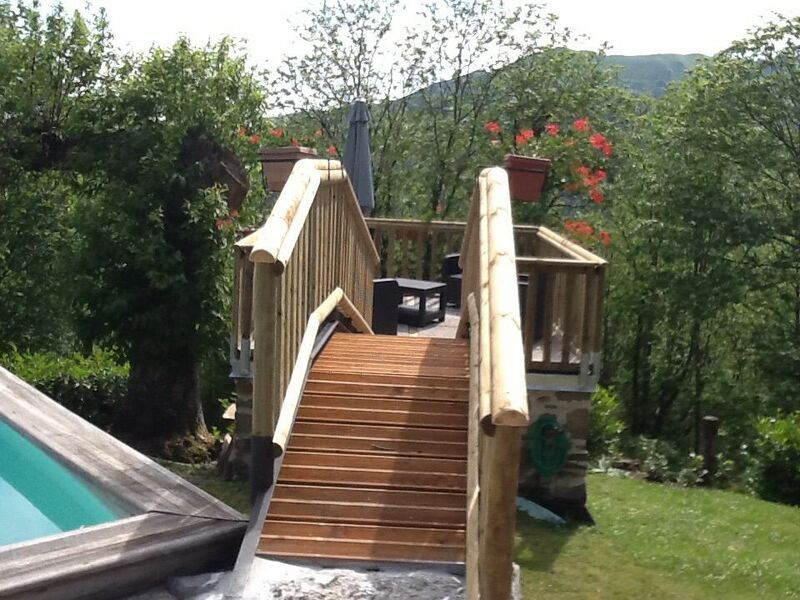 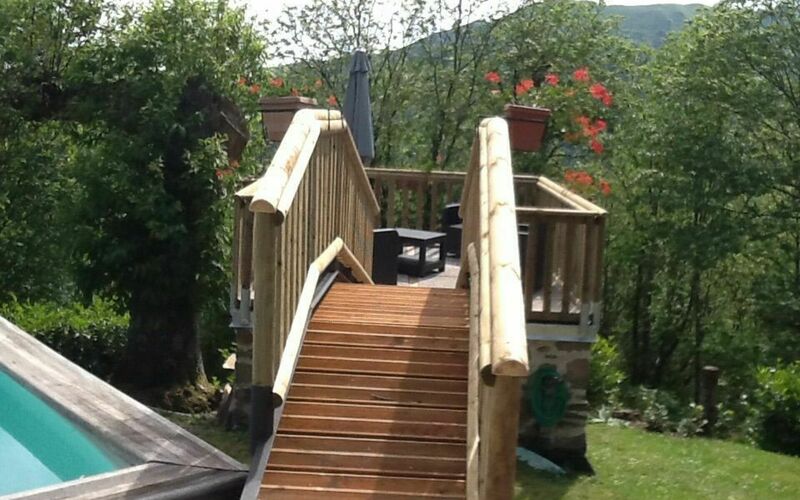 External space (lawn and paved) with pool (9 x 4 m, deep 147 cm, open 01.05 - 30.09) with deck chairs, two tables with chairs, barbecue, sun shade and Gazebo, all for the exclusive use of guests. 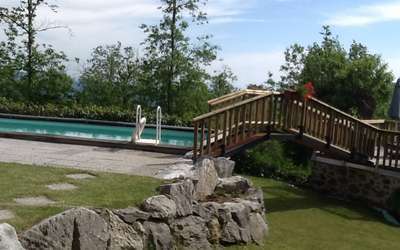 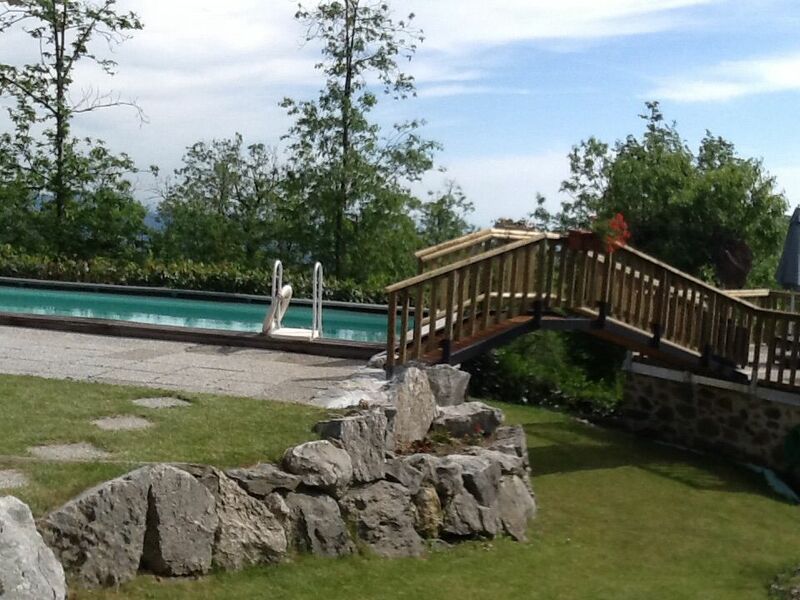 Wonderful view over the valley, the Apuan Alps, and if clear to the tyrrenian coast. 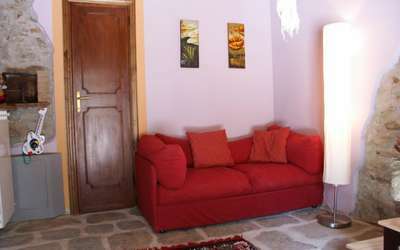 Ground floor: entrance, dining room/living room with single divan bed, TV with sat. 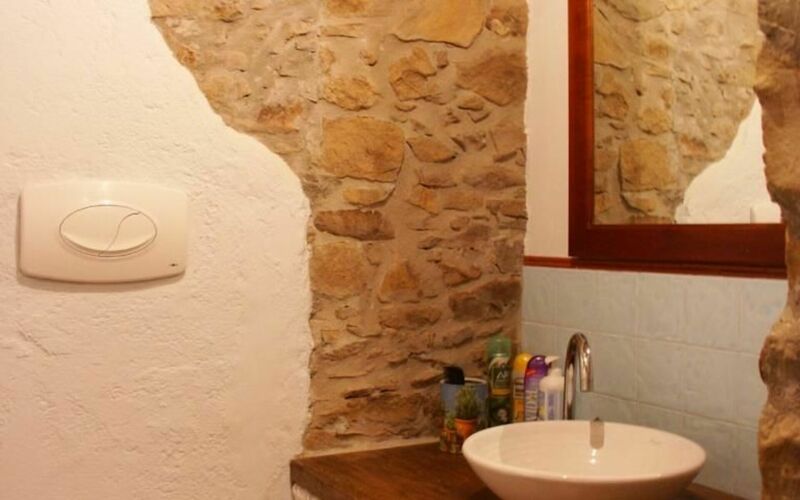 connection and fire place, kitchen corner with dishwasher, freezer, oven, ironing board & iron, living room with single divan bed door to bathroom with washing machine and shower, stairs (from the living room) to the first floor with bedroom with bed large 140 cm.